AKG C214 vs AT4040: Let's Settle This! A condenser microphone is a sole reason behind a good recording and you can’t compromise with your sound if you actually love music. Two quality condenser microphones – the AKG C214 and the AT4040 – have been tough competitors in the race of condenser microphones and today we’re gonna settle the debate about which one is the better? It’s not going to be easy given the reputation associated with the big names AKG and Audio-Technica. However, one has to be better than the other; life would be boring without a little competition! So sit back and relax and let’s us sort this confusion out for you! 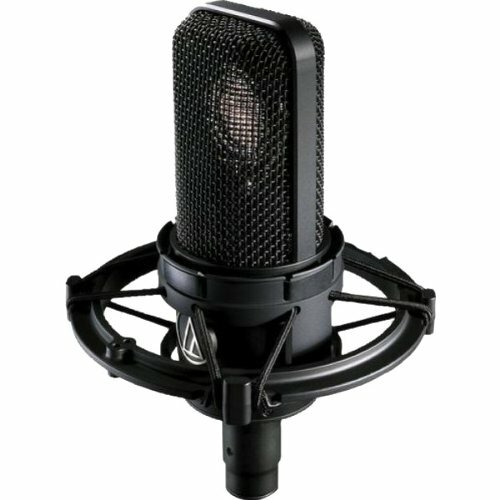 ​The looks of a condenser microphone matter in making your studio look good other than making your sound better. I’m sure you wouldn’t want to disturb the ambience of your studio, right? Both the AKG C214 and the Audio-Technica AT4040 are radically different from each other in terms of looks and feel. While the AKG C214 displays a retro and squared off look, the Audio-Technica AT4040 sticks to the traditional design.The AKG C214 features a double-mesh grille body design made out of a more durable metal die-cast and has a scratch and shock resistant finish that protects the capsule. Also makes it immune to high radio-frequency without hampering the acoustical performance of the microphone. It also houses an integrated capsule suspension for reducing physical vibrations and self noise. 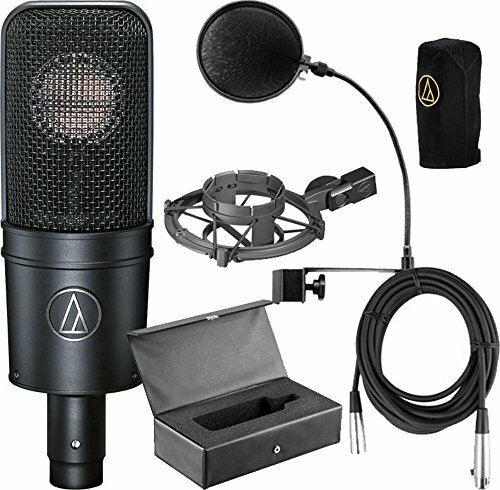 On the other hand, the Audio-Technica AT4040 has a heavy-duty and rugged build that comes with a custom shock mount providing superior isolation and the internal components have a nickel plating. This design is a trademark for Audio-Technica and all the models maintain the aesthetics with fine crafted finish. It’s always a good feeling when you buy any instrument and it comes along with a lot of features. 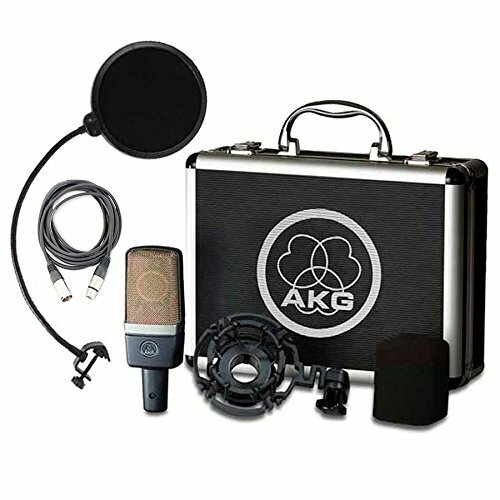 There are a few in case of the AKG C214 and the Audio-Technica AT4040.Both these condenser microphones have a pre-attenuation pad switch and a low cut filter. The low cut filter contributes significantly towards reducing the self-noise and plosives during recordings so that you get bump-free audio. Both the AKG C214 and the Audio-Technica AT4040 need to be connected with XLR cables and require a 48V phantom power in order to function. You get a shock mount and a carry case with both the AKG C214 and the Audio-Technica AT4040. Seems like both the microphones are offering a full package, quite similar! Also look at: AKG C214 vs Audio-Technica AT4040- Let's Settle This! Coming to the most important aspect of any condenser microphone – the sound quality. What good a microphone would be without this? 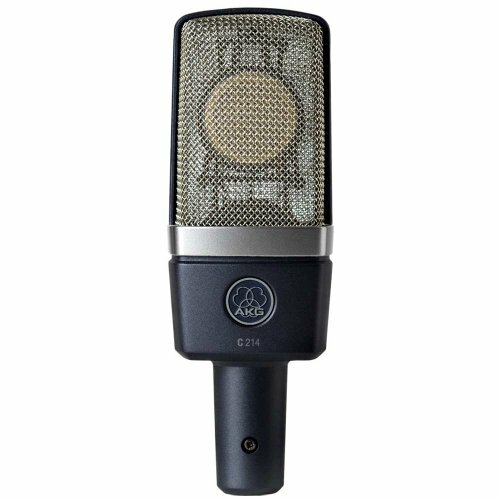 Following the characteristics of a conventional condenser microphone, both the AKG C214 and the Audio-Technica AT4040 produce crisp and bright sounds, which is the most basic thing you need to look in a studio-quality microphone. Both of them maintain the originality in the tone without adding unnecessary coloration and produce fine detailing in the sound. However, unlike the Audio-Technica AT4040, the AKG C214 calms the higher frequencies more effectively, which will really help you in dealing with aggressive spikes in the sound. But keep in mind that this feature might strike you back as it makes the AKG C214 sound very flat. That might be a little compromising, specially when you recording acoustic instruments that require a detailed sound in the higher-frequencies.Other than that, the AKG C214 suppresses the bass more than the Audio-Technica AT4040. The AKG C214 is best for vocals, especially Rap songs and R&B, and other instruments like acoustic guitars and can also be used as drum overheads. The Audio-Technica AT4040 is way more versatile than the AKG C214 with a wide range of applications. Namely, lead and backing vocals for genres like rap, hip & hop, many wind instruments like flutes and clarinets, best for saxophones and brass instruments and also used for purposes like field recordings and film and video production. Furthermore, in order to get the best possible output, make sure to acoustically treat your room and omit any reflections. It was quite a big fight put up by the AKG C214 and the Audio-Technica AT4040, right? But don’t worry, we do have a winner! It was really a tough decision given the same price range of the two microphones with marginal differences in their prices and the similar features that they showcase. However, the Audio-Technica AT4040 is more versatile than the AKG C214 in terms of usability. The former lets you record a wide range of acoustic and wind instruments along with vocals while the latter focuses primarily on vocals. Everybody wants a microphone that is good at multitasking! Also, since AKG C214 suppresses some of the frequencies, it sounds less natural than the Audio-Technica AT4040, which is more consistent. Hence, the Audio-Technica AT4040 has an edge over the AKG C214 and that’s what makes it the winner!